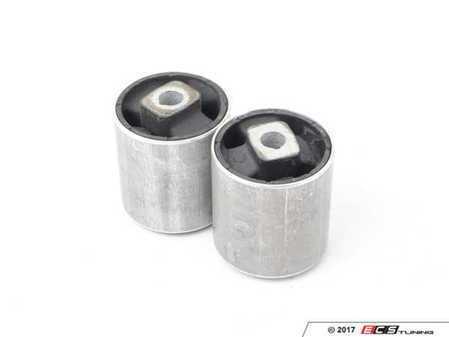 If the control arm bushings on your vehicle are beginning to fail, it will become quickly apparent. Suspension noise will be drastically increased, there will be steering wheel shake when hitting road hazards, and the entire car will have an all around loose feel. This can also lead to premature tire failure as alignment is negatively affected. Replace your control arm bushings to give your entire suspension a tighter feel. 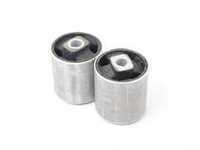 Rattling over bumps, a loose feeling when driving, and play in the front wheels is the main indicator that your bushings may be failing. The stock rubber tends to get dry rotted, wear out, and cause play in the attachment point for the control arm. Replace yours when they wear out, or when replacing a control arm that didn't include these pieces. 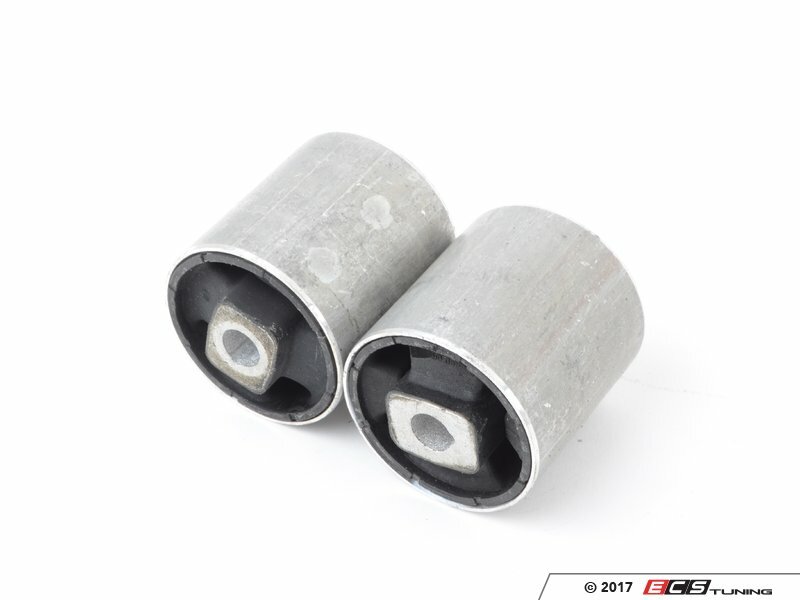 From Febi comes these replacement bushings, a budget friendly replacement for the original. With the same hardness as the originals, your car will perform just like it came from the factory. It will restore stock feel to the suspension and give you a more solid feel for the road. Alignment will stay perfect and the excessive noise in the suspension will be gone. They install fairly simply and can be done by any do it yourselfer with moderate skills. A quality replacement from ECS Tuning.